Upon his triumphal entry, the people of Jerusalem rightly recognized Jesus as their king. Yet, by the week’s end, twisted words and false accusations caused shouts of “hosanna!” to be overcome by shouts of “crucify!” Today, twisted words and faulty doctrine have the same effect. They continue to lead people away from recognizing their sin and their dependence upon Christ as Lord and Savior. In our second lesson, Paul urges young Timothy to correct faulty doctrine. 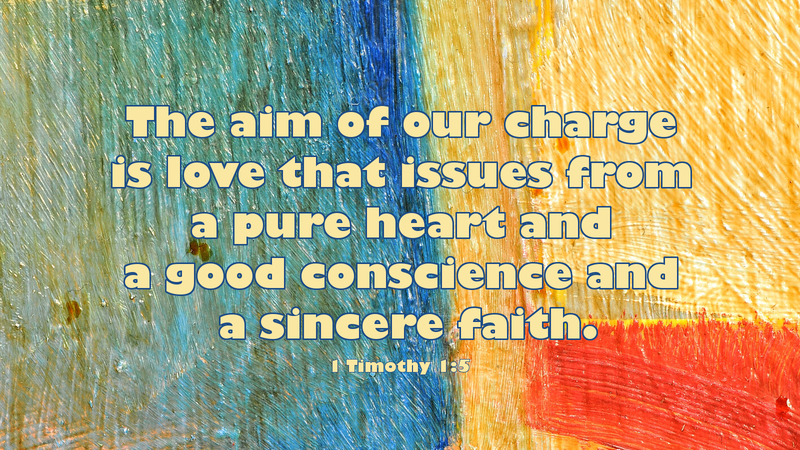 Through Scripture, God charges today’s pastors and teachers to do likewise. Twisted words continue to lead Christians away from the truth of Christ. The world is populated with those who spurn the call to repentance in favor of falsely redefining sin. There exists a worldly acceptance of who people want Christ to be, rather than for who Christ truly is. Today we pray for our pastors, theologians, and teachers of the faith. We pray that God would fill the Church with sound doctrine and the truth of the gospel, so that those who long to hear the message of God’s saving grace may confess their sin, receive forgiveness and know Jesus Christ as Savior, Redeemer, and Lord of all. Prayer: Fill us with your Spirit, O Lord, that we might speak to others the truth of your gospel. Amen. In the second reading, it is our charge as Christians who gather in buildings that have been dedicated to Christ our Saviour to learn and defend the Gospel which is the Good News for mankind. Our love should be so intense that we know what false doctrine is because we know what the truth is. Today, we want to have “feel good” churches that fill us up with empty promises of what God will do for us. God never promised us that our lives would be easy, after all His Son’s life was difficult at best. If you study the life of Christ, why should we not suffer any less? Is that day coming for us to suffer as well?